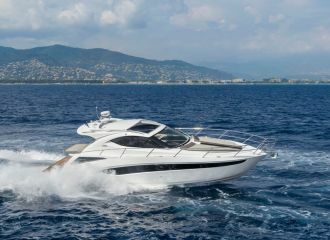 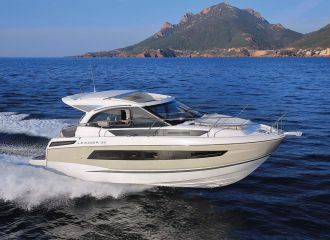 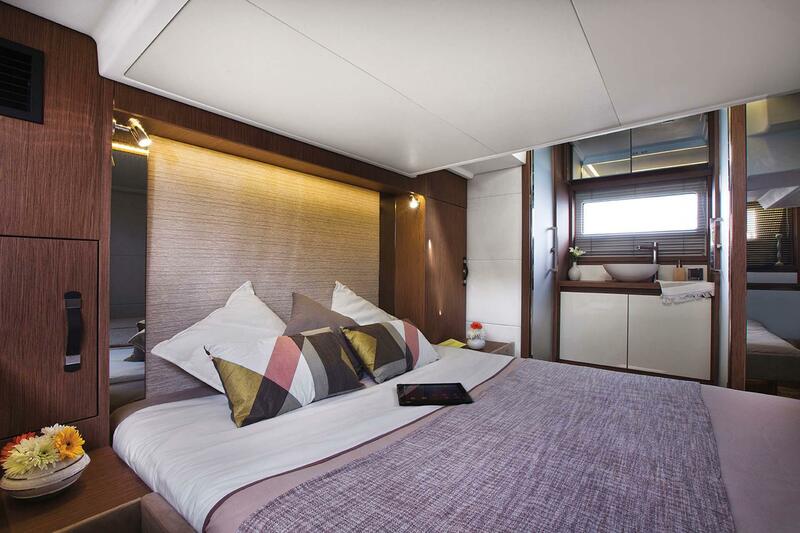 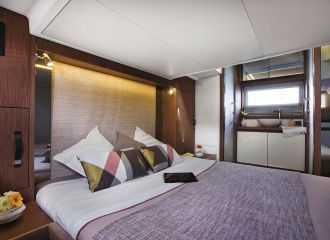 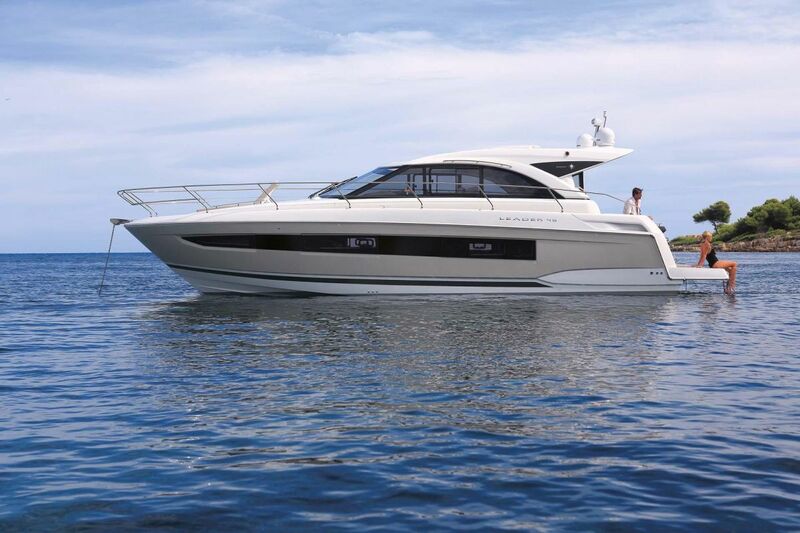 Available for charter in the south of France, this Jeanneau Leader 46 yacht has a sporty look and offers comfortable spaces with a luxurious finish. 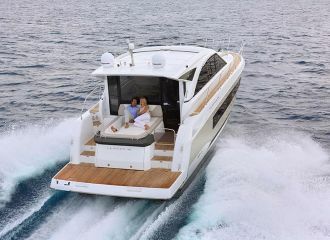 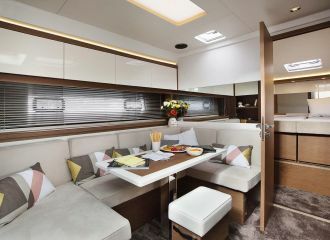 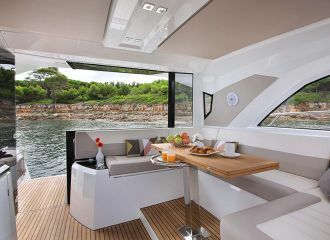 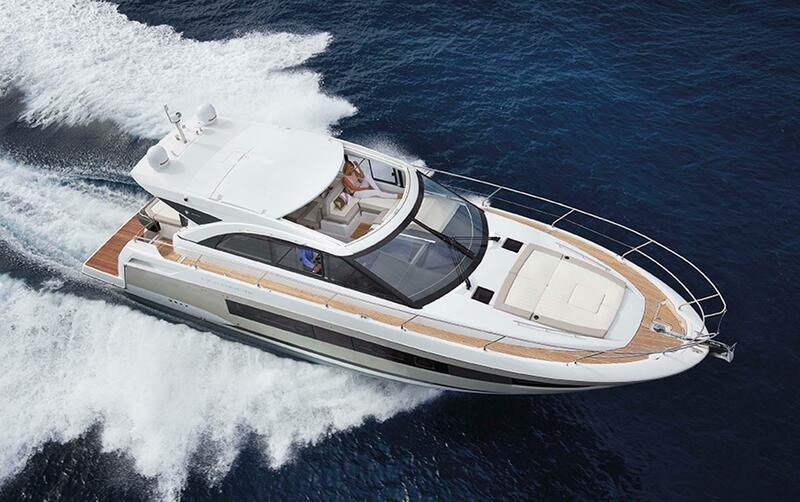 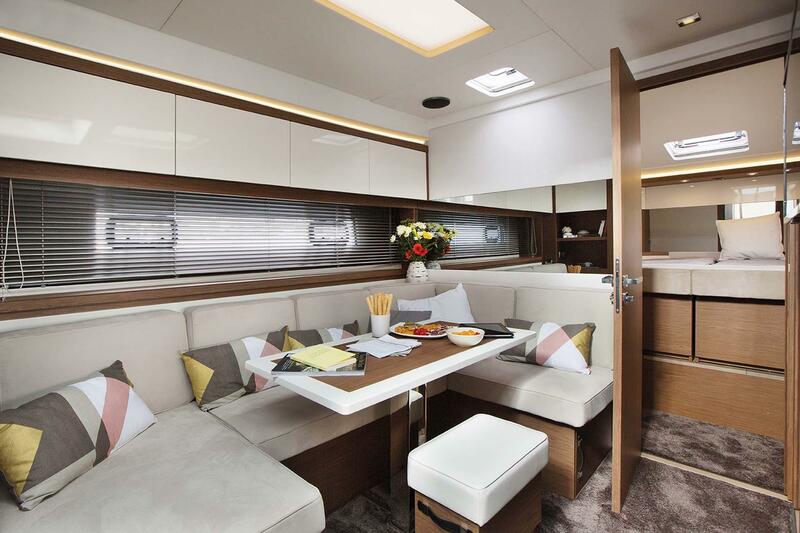 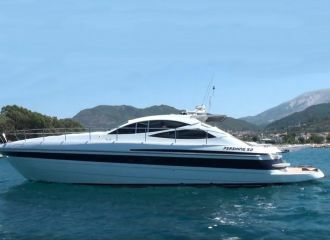 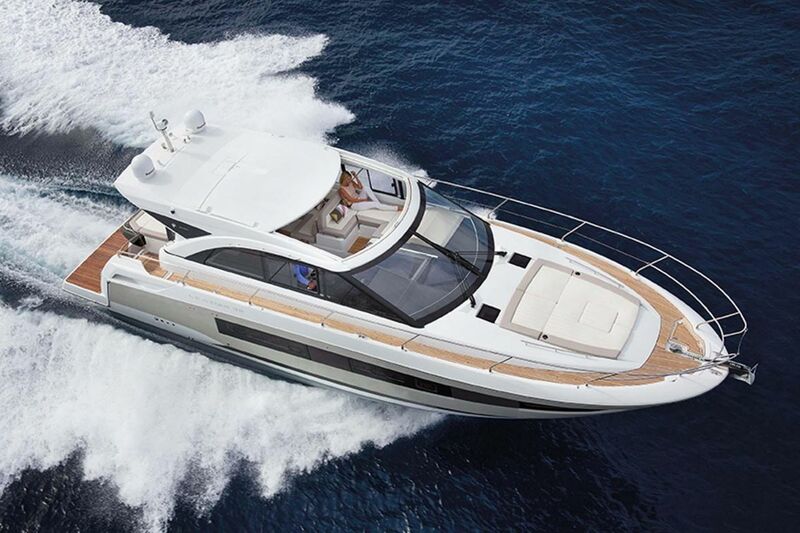 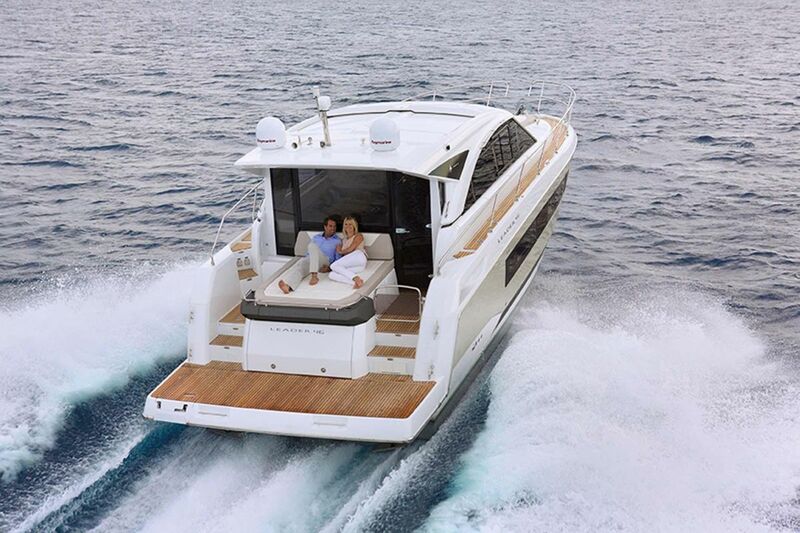 Enjoy the spacious deck with its large U-shaped saloon to port, its modular sunbathing area and its beautiful cockpit. 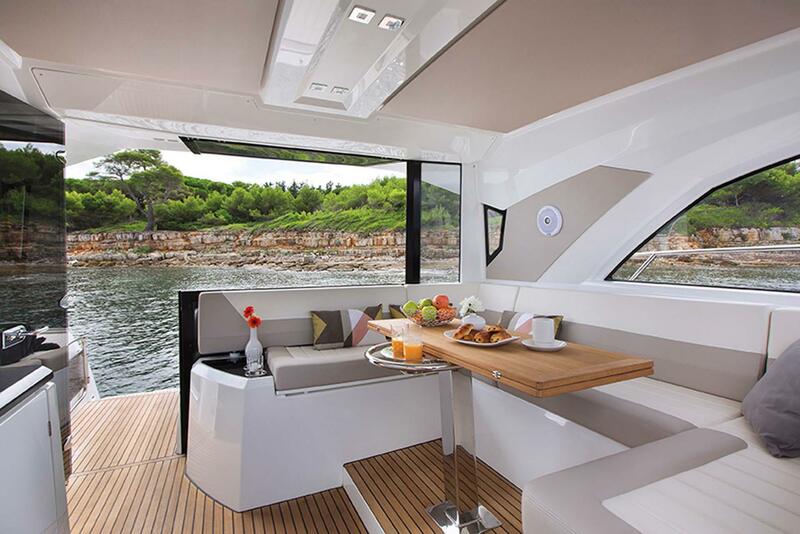 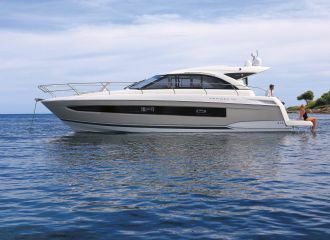 Luxurious and zen, the contemporarty design of this Leader 46 boat will seduce guests looking to rent a day boat on the French Riviera. 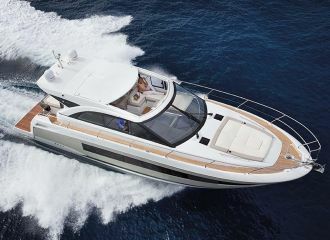 total 2500	€ Excluding APA ?